Ten years ago, Mr Barak Mohamed met a young foreign worker at a construction site who was due to return home to India the following week to get married. But that afternoon, the 27-year-old man died as a result of an accident with a scissor lift. Some contractors working nearby had put a big pipe on the scissor lift, which fell off when they operated it, decapitating the worker. The incident motivated him to focus on strengthening the safety culture at his own company Bintai Kindenko, which is a mechanical and electrical engineering contractor. The company, which is working on projects like the Outram Community Hospital development, encourages workers to report near-misses and take ownership of their safety. It has had no major accidents since 2013. Mr Barak, 47, who is now head of workplace safety and health (WSH) at the company, said the new push for workers to take ownership of their safety started about two years ago and since then, near-miss reports have gone up from eight cases in 2017 to 17 last year. Reporting forms are available in different languages and supervisors will discuss the issues highlighted with workers and raise them to management. Workers who make reasonable reports are rewarded with $ 100 NTUC FairPrice vouchers, said Mr Barak. The company’s supervisors also conduct safety checks and training with workers at the start of the day and before beginning new work activities. In addition, Bintai has set aside about $ 200,000 for subcontractors to use to upgrade their bizSAFE certification or send their workers for refresher courses. From July, it will provide wristwatches to workers to monitor their blood pressure and other health and safety indicators, Mr Barak added. “On the business side, good WSH gives clients confidence to award us projects,” Mr Barak said. Strengthening WSH ownership among company managers, directors and workers was one of the key strategies identified by the WSH 2028 Tripartite Strategies Committee in a report yesterday. Its recommendations, which the Government has accepted, include making WSH more salient in business decisions and increasing the use of technology to boost WSH. 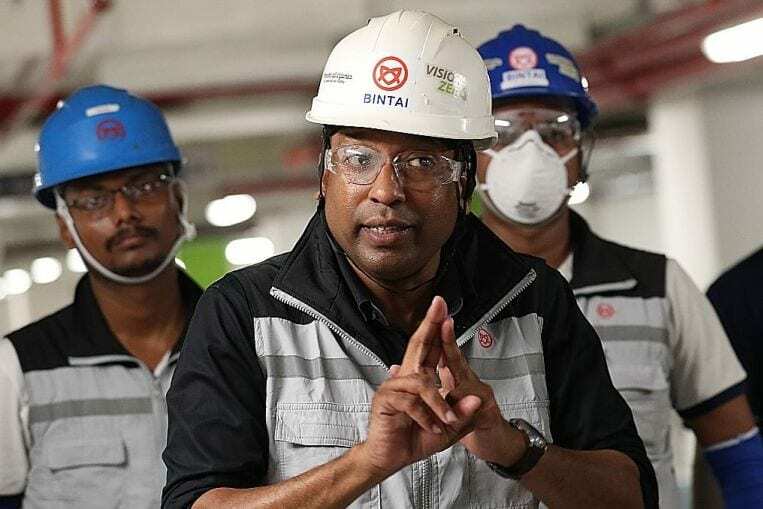 Bintai general worker G. Selvam, 27, who has worked here for seven years, said he reported a near-miss yesterday morning, when a bar left on an electrical box was jutting out in a way that workers could knock their heads against it. “We are the ones who are going to work here, so we need to check the area,” he said.